Figure 45. 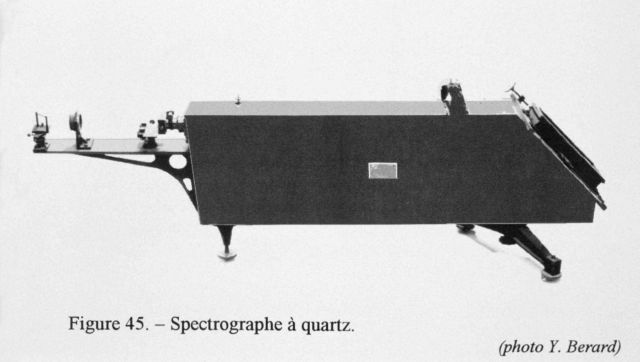 Quartz spectrograph, meant to photographically meausure the spectrum of various materials under analysis. This instrument was constructed by the Paris firm of Jobin and Yvon in 1901. Several of these instruments were made by the engineer Amedee Jobin.